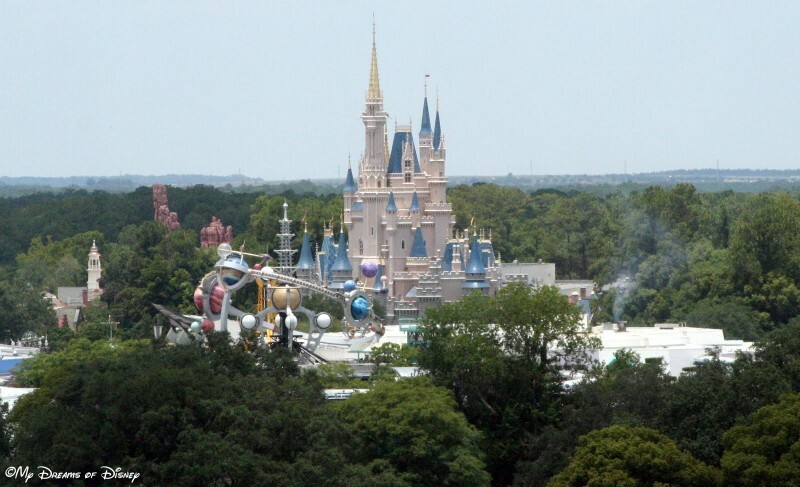 Cinderella Castle stands watch over the Magic Kingdom! Hello everyone, and thank you for joining us today as we explore some vintage Disney on the Magical Blogorail Orange Loop! In my post today, I’m writing about my favorite Original Magic Kingdom Attractions. Have a look at my list, and let me know how my list compares with your list! 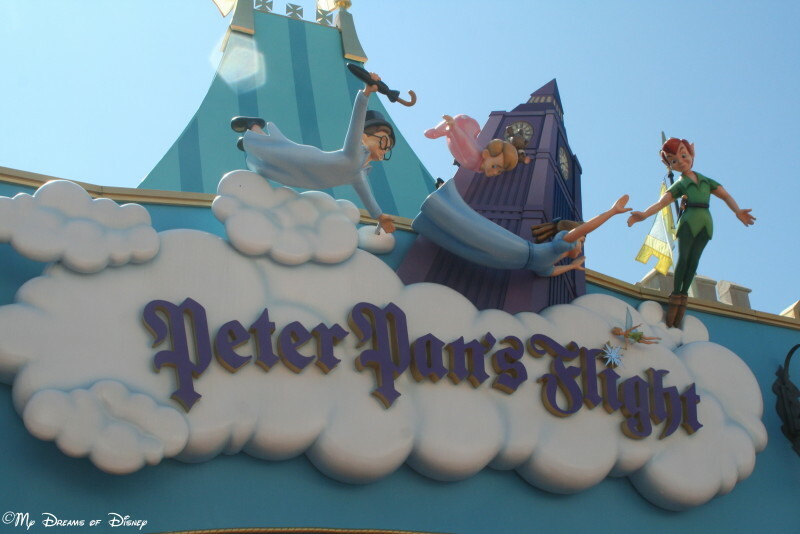 At the top of our favorite Original Attractions is Peter Pan’s Flight! Our family loves Peter Pan’s Flight! It’s such a fun journey; as I said in a different post, when you enter the Magic Kingdom, it’s like you leave Florida, but when you enter Peter Pan’s Flight, it’s like you have totally left the Magic Kingdom behind. It’s that immersive. With Disney’s incredible use of forced perspective, you really do feel like you are traveling above the streets of London, and that you have left Wendy’s bedroom behind. 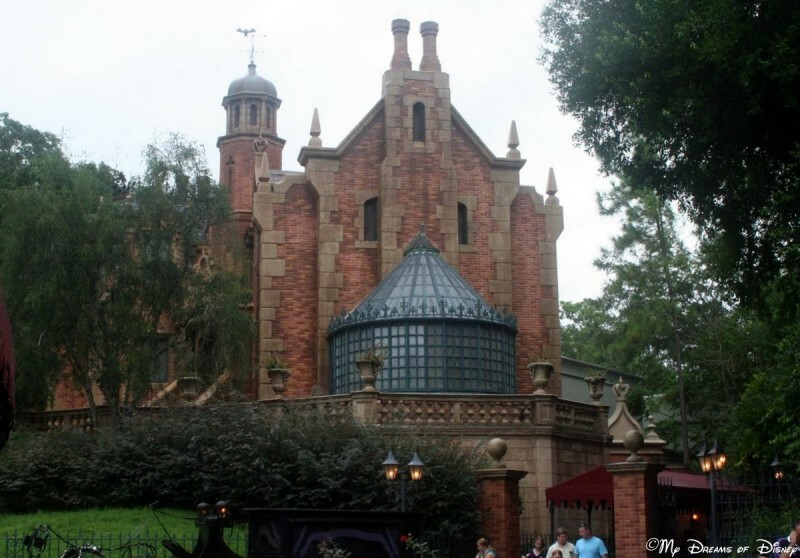 Another of my favorite Magic Kingdom Original Attractions is the Haunted Mansion. Like Peter Pan’s Flight, this attraction makes use of an Omnimover system for loading and unloading Guests into the attraction. There are some subtle (and also not so subtle) differences between the version in Liberty Square and the one located in Disneyland at New Orlean’s Square, but the premise is the same; who wants to be that 1,000th Happy Haunt? On a former post, we talked about where we would like to spend the night at the Magic Kingdom; for my wife, it was in the Haunted Mansion. Located across the path from Peter Pan’s Flight, it’s a small world makes our list! 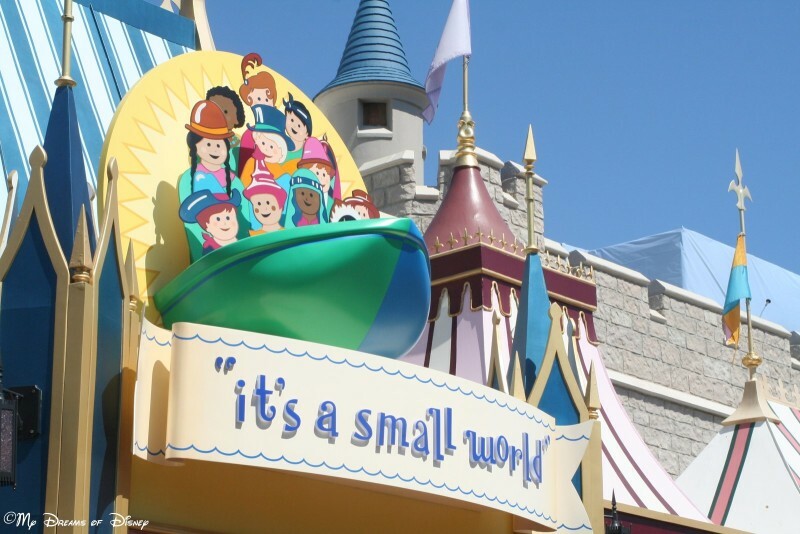 As many of you already know, I’m sure, part of what makes “it’s a small world” special is the fact that it was originally on display at the 1964 World Fair in New York City. In addition, this attraction is just one of those attractions that I love because it automatically makes me happy. I sing the song, over and over again, I look at the decorations, I take pictures of hundreds of things, and I wave at the Cast Member who starts us on our journey. When I was a kid, I remember my Grandpa and I sitting in Pinocchio Village Haus by the windows that overlook the attraction, waving at boat after boat, and having them wave back at us. That’s a memory that I will never forget. 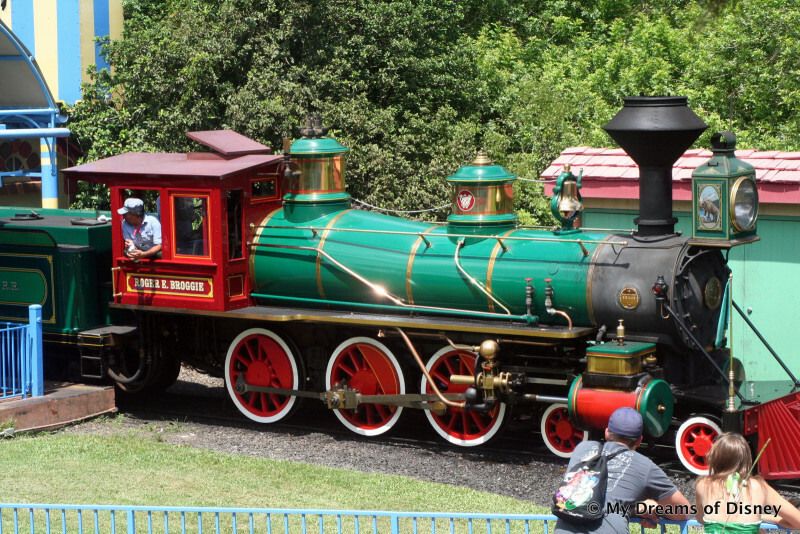 The Roger E. Broggie is just one of the locomotives on the Walt Disney World Railroad! Perhaps as a surprise to some of you (or perhaps not to my long term readers), the Walt Disney World Railroad is number 4 in our list of favorite Original Magic Kingdom Attractions. I’ve had a fascination with trains my entire life, starting with my first train layout I was given for Christmas as a child, and continuing on to now with the trains I have here at the house. What makes the Walt Disney World Railroad so special to me, though, is the nostalgia of it all; the ability to just travel through time to when railroad travel was much more common, and to be able to see a side of Disney that one doesn’t often see. 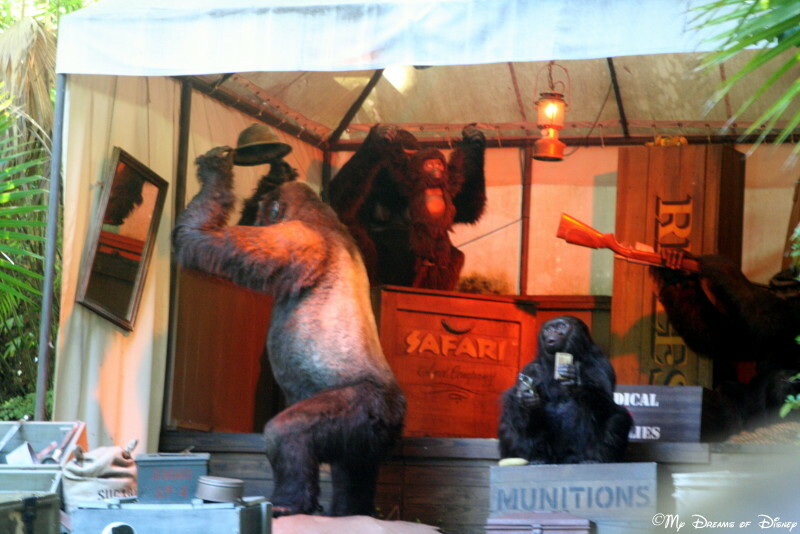 The Gorillas have taken over the Jungle Cruise! Rounding out our top five is The Jungle Cruise, that one of a kind attraction that has a cult following. What I love about the Jungle Cruise is how corny the jokes are! Also, I love the history of the attraction, more so from the Disneyland perspective than the Walt Disney World perspective, but I like the history at the Magic Kingdom nonetheless. So there you have it, my top five Magic Kingdom original attractions! Where does my list stack up against your list? Let me know in the comments, please, and thanks for stopping by today! Now, go check out the rest of the great posts my friends on the Blogorail have written for you! 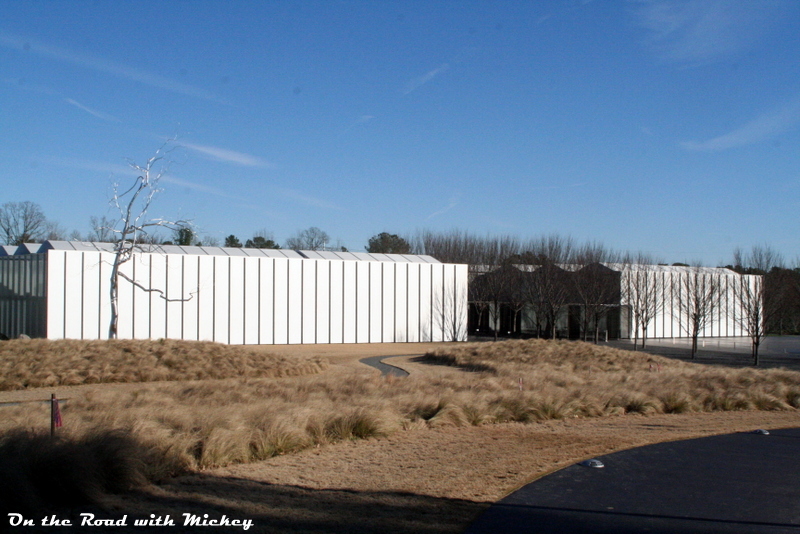 The West Building of the North Carolina Museum of Art. Image Credit: On the Road with Mickey. Yesterday we talked about the Museum Park that exists on the grounds of the North Carolina Museum of Art; today, we continue our look at this museum by exploring the museum itself, and tomorrow, to wrap up our look at this great museum, we are going to talk about the special exhibit that is wrapping up soon, featuring works of M. C. Escher and Leonardo Da Vinci. 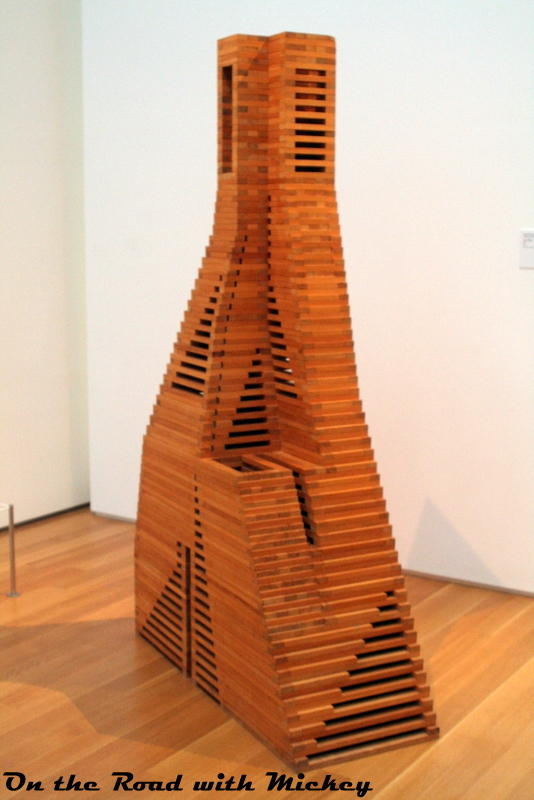 The NC Museum of Art features two buildings; the West Building and the East Building. 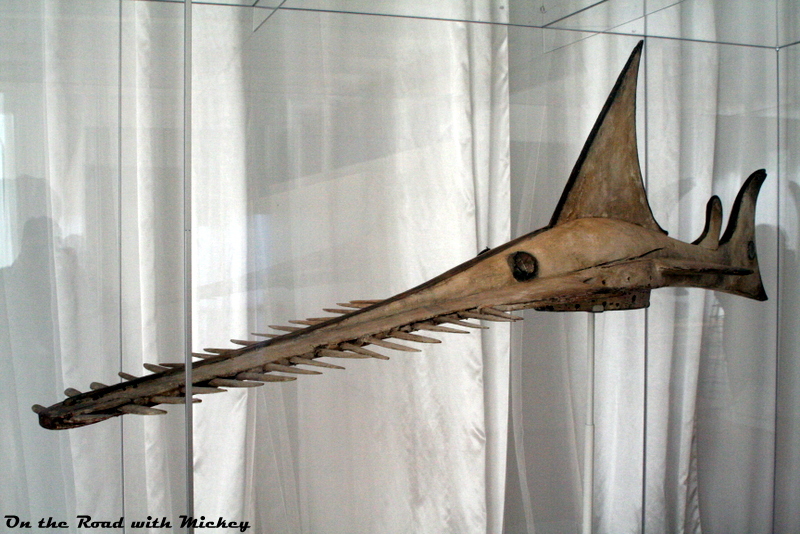 East Building is where the special exhibits are featured, and where the Escher and Da Vinci exhibits are housed. Today, Cindy and I explored the West Building, which is home to the permanent collection. I don’t know exactly how big it is in terms of square footage, but it houses a large collection of paintings, sculptures, and more, including the tranquil Rodin Garden. At just two miles from my house, the Museum of Art is conveniently located to be able to get over for a visit almost any time. 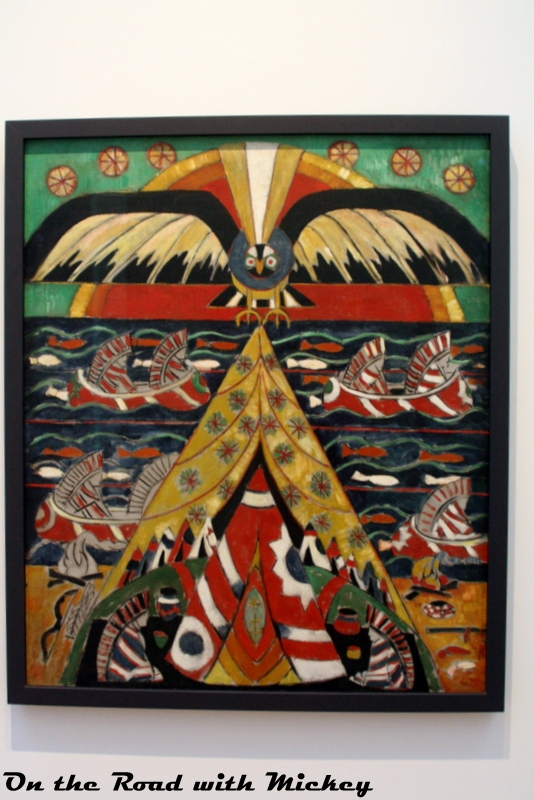 In 1947 the state legislature appropriated $1 million to purchase a collection of art for the people of North Carolina. The appropriation, which was unheard of at the time and drew national attention, was in response to a then-anonymous challenge grant from noted philanthropist Samuel H. Kress of New York through the persuasive efforts of Robert Lee Humber. Humber was an international lawyer and native of Greenville, N.C. 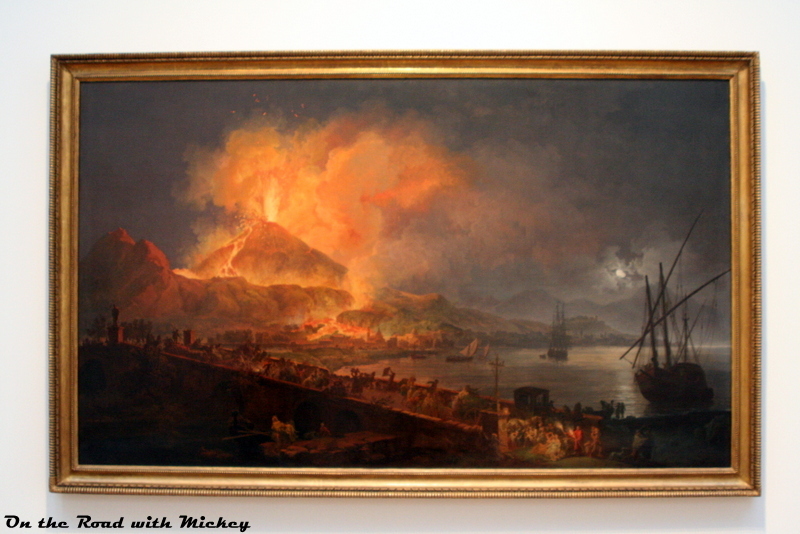 The initial $1 million legislative appropriation was used to purchase 139 European and American paintings and sculptures. Until today, I had no idea that North Carolina’s art heritage went back that far, or that the State had such an early attention towards the arts. That in and of itself is pretty cool to me. 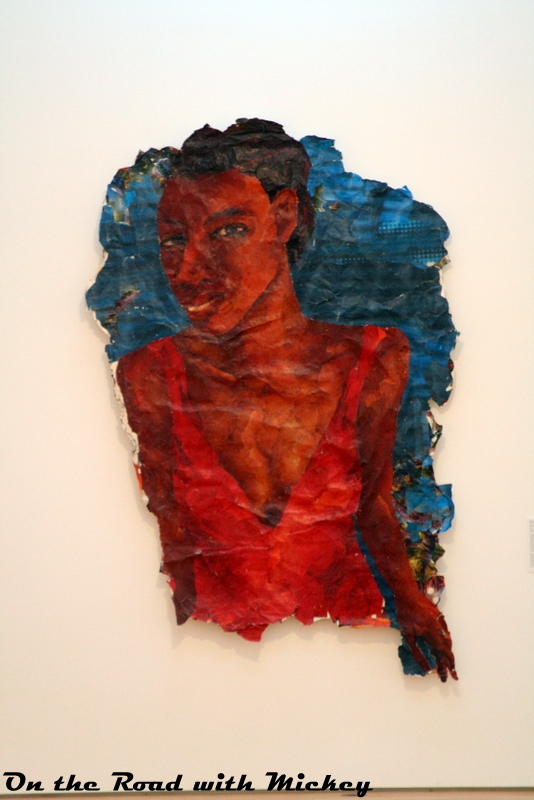 What follows is some of the pieces that I enjoyed the most, I hope you like them, and that it is a driving force towards getting you over to the Museum on a visit of your own one day! A201 Ribat, Jackie Ferrara, 1979. Tar Baby vs. St. Sebastian, Michael Richards, 1999. 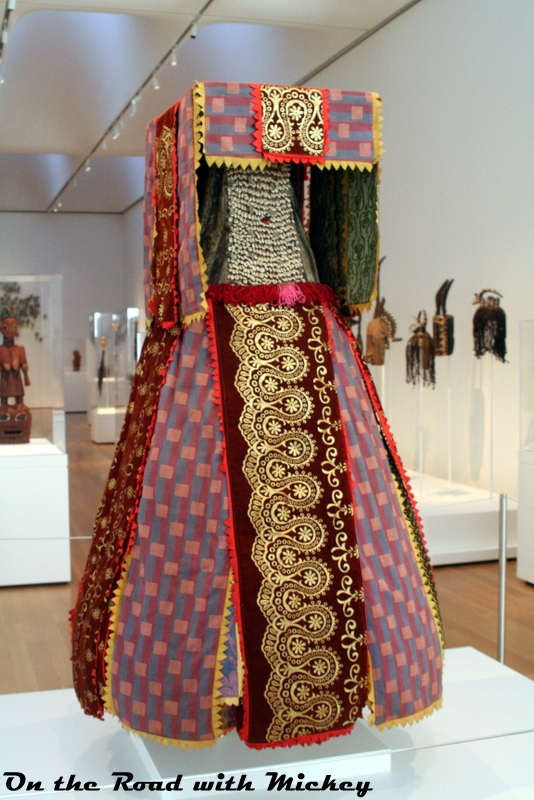 Egungun Costume, Artist Unknown, 20th Century. 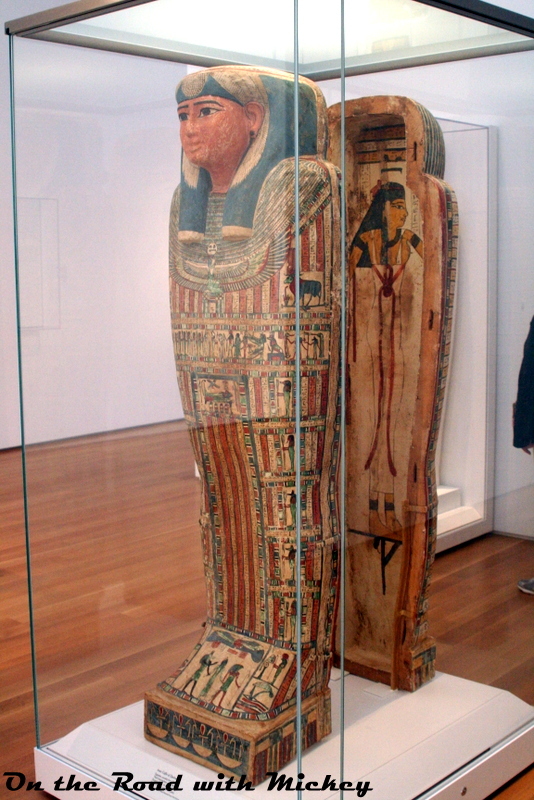 Coffin of Amunred, Egyptian, Possibly from Heracleopolis, Third Intermediate – Late Period Dynasty 25-26, circa 715-525 B.C.E. 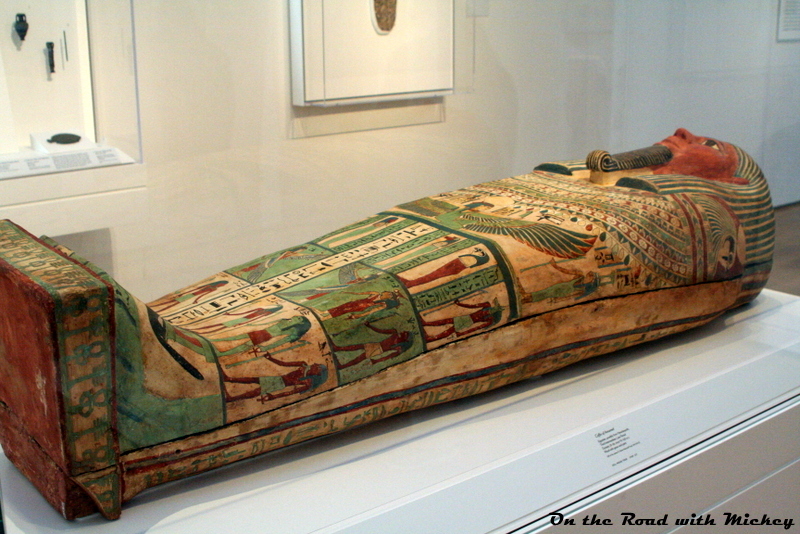 Inner Coffin of Djedmut, Egyptian, possibly from Thebes, Third Intermediate – Late Period Dynasty 25-26, circa 715-525 B.C.E. 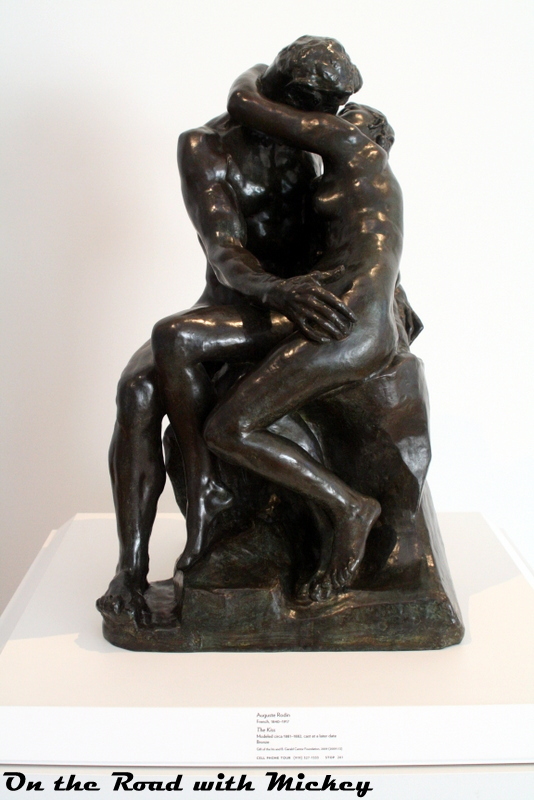 The Kiss, Auguste Rodin, Modeled circa 1881-1882, cast later. 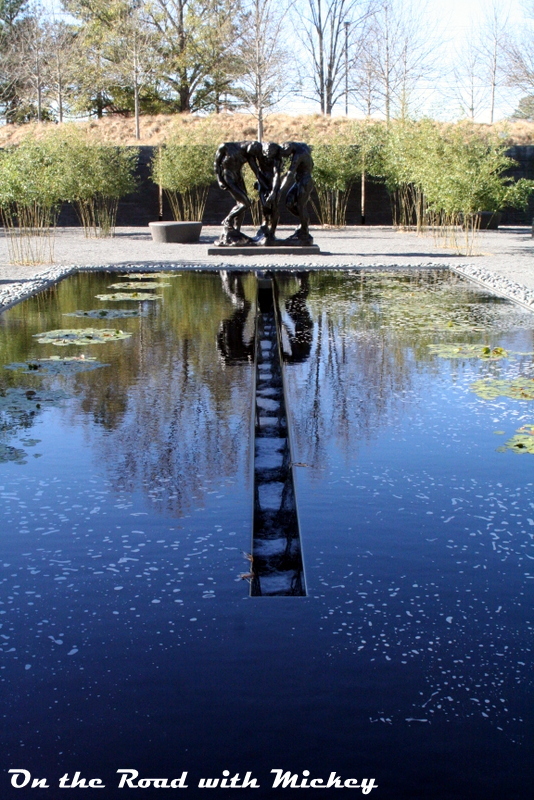 Part of the Rodin Garden, a tranquil setting outside the NC Museum of Art. 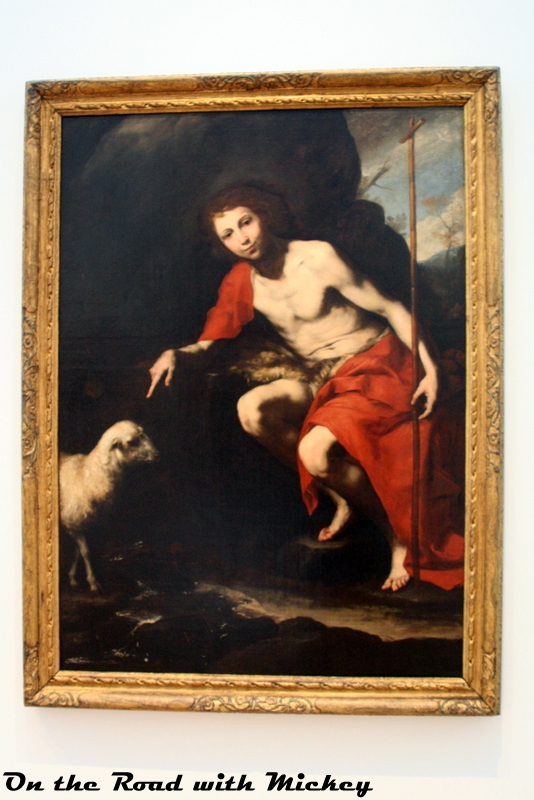 St. John the Baptist, Jusepe de Ribera, circa 1624. 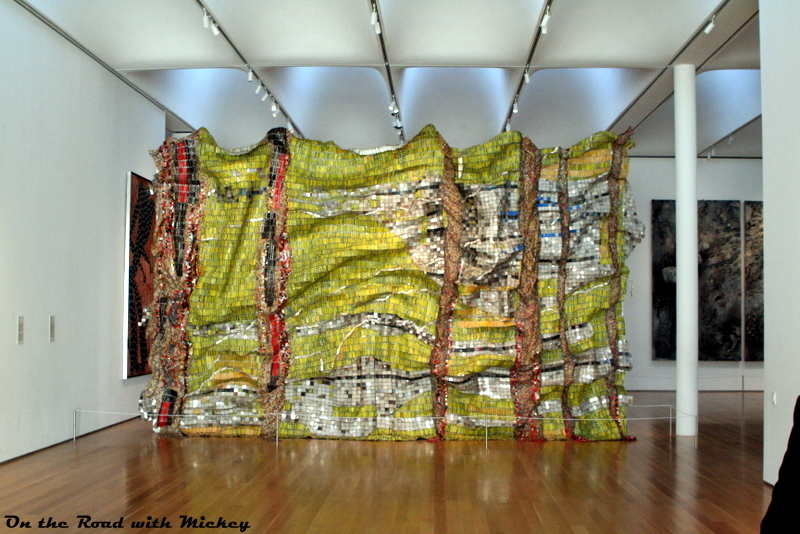 I hope you have liked exploring the NC Museum of Art with me. There is a lot to see and do here, and it is well worth your effort to make the trip if you are a local or in the area. 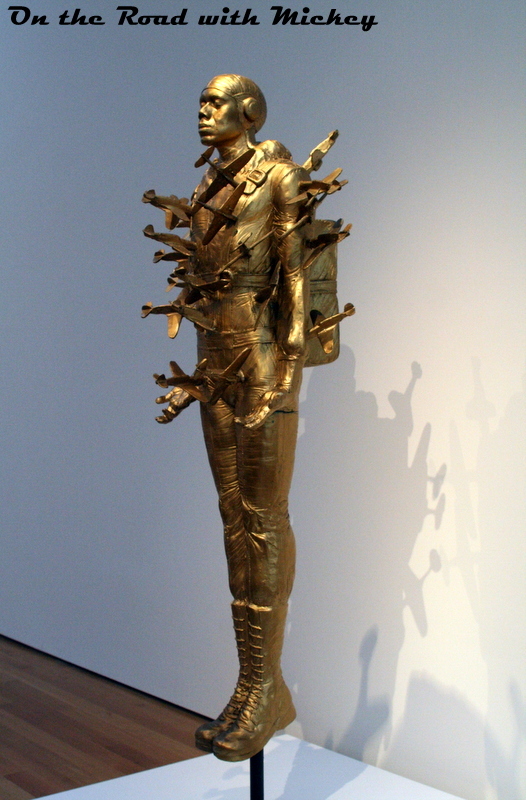 Have you been to the Art Museum? Tell me, what did you think of it? Let me know in the comments, and thanks for stopping by! It was a wonderful fall day in Raleigh. I was staying home while Cindy was working. Sophie was days shy of being three months old, and was still an itty-bitty little baby. I was sitting in Cindy’s rocking chair, feeding Sophie, when Cindy called and told me about the crash and had me turn on the TV. I’ll never forget that for as long as I live. 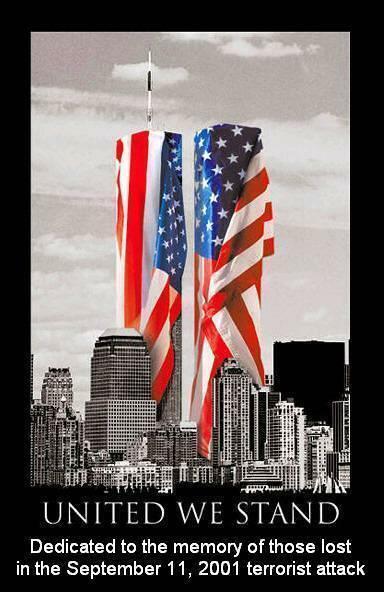 I remember watching, mesmerized, as I saw the planes crash into the Towers. I remember hearing of other hijackings of other planes. I remember hearing of the heroic efforts by the passengers of the plane that crashed in Pennsylvania — they knew they were going to die, but they also knew that this was an attack, and they weren’t going to sit by and wait for it to happen again. I remember hearing how the airlines were all grounded — every single plane — and jumping ahead a bit, I remember being at Lowes several days later when I first saw a plane in the sky again. It was so odd to see after so long of not seeing any aircraft. Back to September 11. I remember that Sophie and I were supposed to have lunch with our friend Lisa, and when I called Lisa, we both wondered if it was safe to go and still have lunch. In the end, we decided that yes, we would have lunch, that there were far more important places than Raleigh to attack, and that we shouldn’t let this stop us from doing what we would normally do. We shouldn’t let the Terrorists win like that. I remember holding Cindy when she got home from work that day. I remember the three of us hugging it out, locking our doors, we were afraid. I’ll never forget Cindy telling me that she wanted Sophie to sleep between us that night. She wanted to make absolutely certain that her baby was safe from the world. Cindy’s cousin Jeannie lives in New York. She worked at the World Trade Center. She was supposed to be there that morning — but something went “wrong” at home, so she decided to work from home that day. Never has something so “wrong” been so right. My prayers are still with all of those that lost loved ones. My prayers are still with all of the countries affected. There were so many innocent lives lost that day because of a bunch of crazy people that are burning in Hell right now. My prayers are still with our leaders, our country, all of us. September 11, 2001 is a day when the world became a much more dangerous place. Gone were the days of playing outside during the summer vacation. Gone were the days when you could not lock your door. Gone was the innocence of our children. Where were you on September 11, 2001? What do you remember about that day? May God have Mercy on all of us, and on all of those that lost their lives that day. Prayers for the Week – Praises in the midst of Trials! Hello everyone, and welcome to this week’s Prayers for the Week post, featured here at My Dreams of Disney! This is the 34th week we have run this weekly post, and I hope that you have seen as much benefit out of it as I have in writing it. Each week, I am reminded of all of the wonderful good that God has brought to me and my family — and I have seen first hand how some of the prayers that we have been praying for have been answered! You know, this past week was an incredibly hard week for my family. Hearing of Uncle Bob’s passing, despite the joy we feel in knowing that he is in Heaven with Jesus and in no more pain, still was hard, because we are left to make due as best we can in this cold, hard world without him. We had the visitation this past Monday, and he looked so much at peace, you could tell he was all better now. Then, at the funeral on Tuesday, I was one of eight men that were asked — no, given the honor — of being a pall bearer for Uncle Bob. It was my pleasure to do so, and, like I said, my honor to do so. Seeing all of Cindy’s family and friends, from as far away as Montana and New York state, meeting new family that I hadn’t ever met before, and seeing family and friends that I hadn’t seen in a while — it was all good to see them. In the midst of all of the trials and tribulations that burying a relative can bring, God reminded us that He was there for all of us, there in the tears, the laughs, the hugs, the quiet solitude. God was there. Obviously, for my family the biggest praise I can give is that Uncle Bob has come home, and is in the welcoming arms of Jesus. However, I also have praises for the two Army soldiers that treated his funeral with the dignity that it so richly deserved. One played Taps perfectly, and the other presented the American flag to Aunt Clara on one knee, there to be there for the wife of a soldier that served his country. They were wonderful people to the family, and I was only one of the people that thanked them for their service to our country as well as their service to our family. My sister Robin is always full of praise, and this week is no exception. Here is what she wrote: Great song choice Mike. I always liked the Scripture about entertaining angels, basically treating everyone well since we may be entertaining angels and not know it. Hebrews 13:2 is the verse. Love to all and thanks for this weekly encouragement. Even though we have trouble in this world we can take heart since Christ has overcome it all! Praises to God for my friend Jodi and her family, as they continue the path of their life from Texas to Florida! They sold their house in one day and are now under contract for their new house in Florida! Dana writes: I just love that you have all these prayer requests!!! We would get nowhere in the world (not even back to Disney) without God!!! My friend Brenda reminds us of how wonderful our reunion will be with Uncle Bob: Hugs and prayers to you and Cindy and all the family. You are so loved by people all over the country and that is such a blessing. We are blessed with a little time with those we love and then, thankfully, with an eternity with them once again. You will see him again in God’s time and what a wonderful reunion that will be. Love you all. My GC will be used on my two very Special Need Kids to navigate the parks for Christmas and some balloons to pay it forward for other guests in memory of a child we know and loved who has passed away. We do this every year. We have a very close friend who lost her daughter 2 years ago as a toddler. Even though my kids are special needs and will have burdens they will live their lives. It taught us to preserve, be thankful and to live life. Every trip we give balloons and pins to other kids. It also helps to teach my youngest, who is capable of grasping it somewhat, that it is good to pay it forward. Life is a lesson, even at Disney!It is for reasons such as this that I love to have giveaways that reward good people with a little Disney Magic. My friend Beth wrote: Thank you so much for including Dustin! As I pray for him to beat cancer once and for all, I will be praying for everyone who is facing difficulties. I am so sorry to read about Cindy’s uncle. We are sending prayers and hugs for all of you! Proof positive of the power of prayer — here is what I wrote for my friend Jodi’s prayer request: Please pray for my friend Jodi and her family. They are making the journey from Texas to Florida, and are looking for housing, putting their house on the market, and doing all that is needed to make this transition. Please pray for their sanity during this stressful time, and that God would lead them in the way He would have them go, and that they would get the house that works for them, and lastly, that their house would sell quickly, and also that their journey would be safe. Thanks everyone! Please pray for my friend Heather. Her job is being halted because of the government shutdown effective October 25th — despite the deal signed Thursday morning. The true sadness is that Heather works with kids that are abused — but those types of programs are considered “non-essential” — despite how many people they benefit, yet the salaries of our “elected” representatives continue to be paid. It will be at least 6 weeks before funding is restored and the program she works with can be started back up. What nobody in Washington realizes is that things like this are just playing right into the Dark One’s hand. Satan is taking on marriage, he’s taking on government, and he’s battling for those that have not found the Light that is Jesus. It is more critical than ever that we all pray fervently to Jesus for our nation, our world, and for all the lost souls.I am glad that the shutdown is over — I have family and friends that are now able to get back to work — but the way things are is not the way they should stay. They need to focus on the country, not on themselves, and do the job that they are elected to do. There is too much at stake, and I hope that they will see that and start acting like the representatives to our country that they are.I am sorry to turn that into a political rant. Please pray for Heather, for her ability to find a temporary job until her real job is back and she can keep helping the kids she loves so much. Please pray for those kids, who may not understand why this is happening, and pray for the Lighthouse, which is able to keep it’s shelter running, but has to halt all of it’s other services until they start getting funding again. It is the little people who are hurt in times like this. Thank you my friends! Follow up to the last prayer request, please pray for our elected leaders and our president. They need to be led by God, and it is my fear, and the fear of many of us, that they are not relying on God, but are going their own way. If they would just call on God for help, our nation would be restored to the greatness that it once was. Thank you, everyone, for your prayers! Lastly, please continue the prayers for baby Ryan, who had to have heart surgery at 2 days old. He is still having problems, after they thought it was a success, so urgent prayers are needed for him and his family. Please pray to the Lord to keep a close eye on that little one, to heal him of his trauma, make him whole, and for his doctors to take great care as they are led by God’s guidance. Also please pray for the family, for their peace, and comfort, and strength as they face the unknown. Thanks, everyone. My friends, thank you so much for your continued prayers for these and all of our prayer requests each and every week. It is a blessing to be able to compile these for you, and to join in with you as we pray for friends, strangers, loved ones, and even people we will likely never meet. In the end, oftentimes there is nothing we can do but pray, and sometimes we feel like that isn’t enough — but truly, it is because of our prayers that we often have a great outcome on a situation, so please keep praying for all of our requests — and lift up our praises in thanks to God as well! Thank you, everyone, and may God Bless You today and every day! In closing, I am sharing two videos with you — the two songs that were played at Uncle Bob’s funeral. First was Taps, and then they played Reveille.